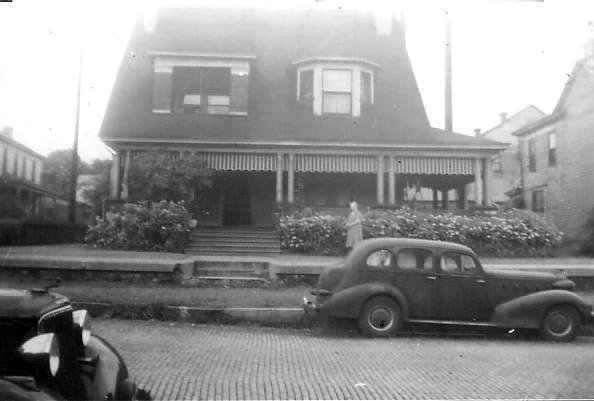 ELHistSoc -In Limbo: 100 Block, West Third St. In Limbo: 100 Block, West Third St. 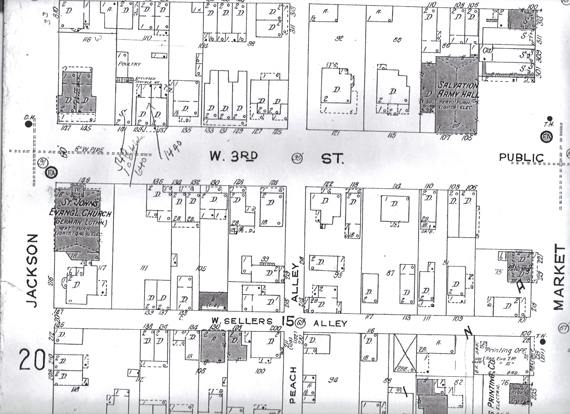 The map showing the 100 block of West 3rd Street. 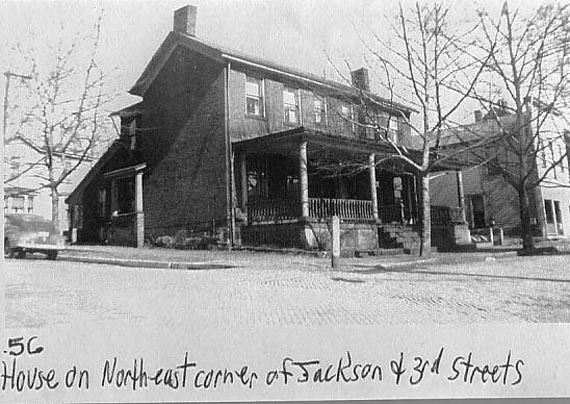 That block was bordered by Jackson Street on the west and Market Street on the east. From 1923 Sanborn Fire Insurance Map. The 100 block of West 3rd street was largely residential. 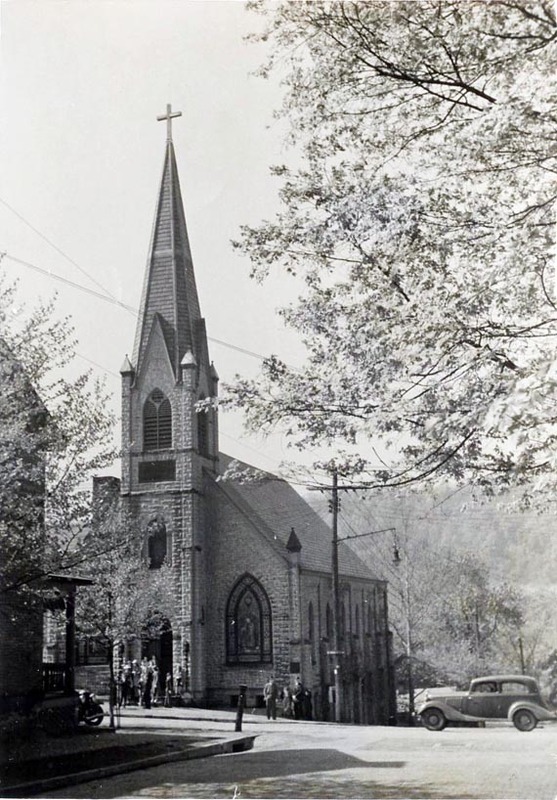 The St. John's Evangelical Lutheran Church was located at the southwestern corner of the block and the 1958 City Directory listed the Salvation Army Hall, later to become the Credit Bureau, at the eastern end. The "X" in this picture is placed at the intersection of West Third Street and Jefferson Street. In the upper left hand corner one can see a church. 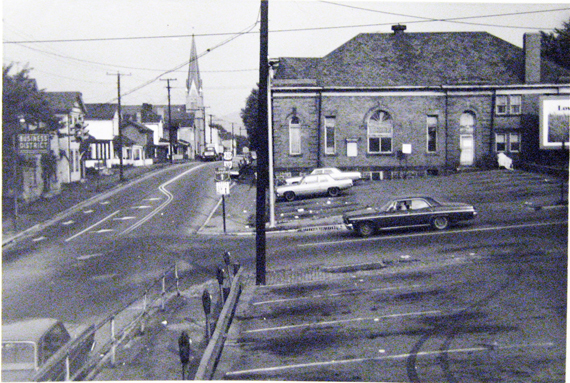 That church is on the south eastern corner of Jackson and West 3rd. 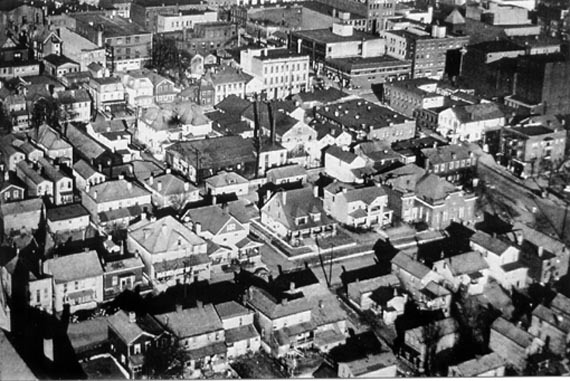 All of the 100 block of West 3rd is visible here, however it is a better view of the south side of that street so that is some what corrected with the following picture. Standing in the intersection of Jackson and West 3rd street looking to the north this would have been our view. The house on the corner is 147, 145 West 3rd Street. Let's begin a little bit of a stroll down the street. From the Inger Lloyd collection. Directly across the street from the above corner house is the St. John's Evangelical Lutheran Church, southeast corner of Jackson and West 3rd Street. From the Inger Lloyd collection. Standing just a little east of the corner house (147, 145) and looking eastward we see. Picture from the ELHS. One twenty five and one twenty seven West 3rd Street. 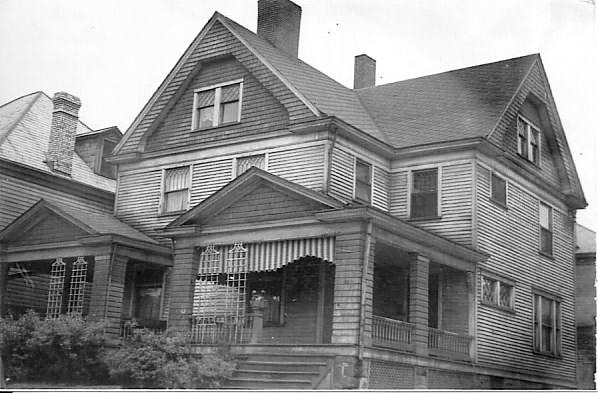 In 1958 these were the homes of Floyd Tweed (125) and John Gauron (127). From the Inger Lloyd collection. One twenty one West 3rd Street, the home of Harry Carothers in 1958. From the Inger Lloyd collection. Halfway down the block on the north side we find the above two houses. if one were to have turned as they walked from west to east down this block, about half way down the block and looked back this would have been their view of the south side of the street. Picture from the Museum of Ceramics. 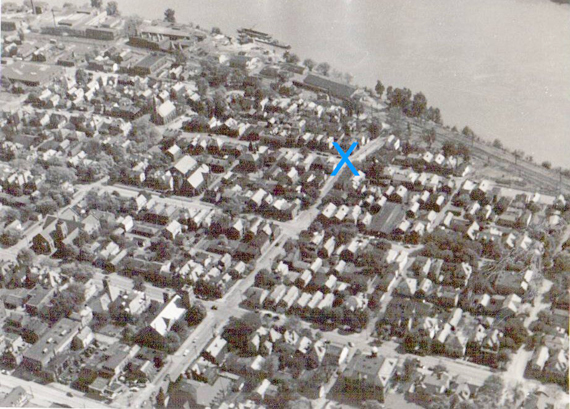 Based on the 1958 City Directory there were 28 occupied street addresses for the 100 block of West 3rd street. In 1975 15 occupied 10 no returns or vacant. In 1980 10 occupied 5 vacant. In 1985 3 occupied 1 vacant. In 1990 1 occupied 1 vacant. 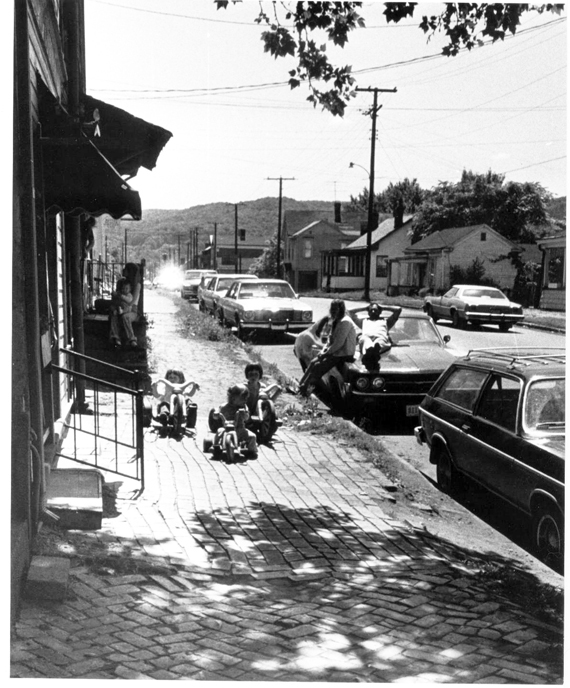 ELHistSoc - In Limbo: 100 Block, East Third St.